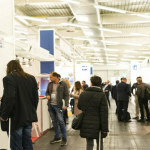 An excellent line-up of renowned companies visited PSE Europe 2019 to establish new business relations. Visiting companies included BMW Group, Porsche, Volkswagen, BASF, Birkenstock, Evonik, Velux, Covestro, Faurecia, DOW Chemical, Saudi Aramco, ann + Hummel, Kral, Greiner Aerospace and many more. The seminar programme recorded a high number of attendees and provided additional insights into major developments in PU processing as well as key strategies adopted by industry leaders to succeed and grow. 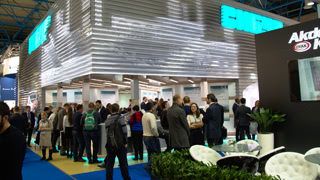 The Feature Area, a dedicated on-site space, bridged theory and practice and gave visitors of PSE Europe a better understanding of how polyurethane solutions can turn into reality. 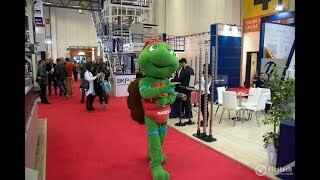 The exhibits included a 6-meter-long roller shutter casing profile by Frimo Group GmbH, an insulating shell for district heating transfer stations with connect system provided by PCC Specialties GmbH as well as the visualisation of a recycling process of post-consumer PU foams and various end products by the company Nitroil.